It was a full weekend with friends and fellow farmers and various other visitors pulling in and out. Over the weekend I met a customer at our farm stand; that is a new neighbor. She told me that her family is just getting ready to embark on their farming dreams. They bought the land and an old farmhouse, which they are fixing up. I felt so happy and excited for them as she shared some of their ambitions with me. I felt a little pride too when she told me how much she liked our farm stand and that it was inspirational for their future farm plans. Every nook and cranny seems to be buzzing with bees. Their legs, thick with pollen as they dance from blossom to blossom on the fruit trees. Oh yes, spring is finally here. A first, ever so humble harvest of lavender. Simple bliss. We divided and transplanted peonies and iris over the weekend. I’ve wanted and needed to do this for quite some time. It was a struggle for both of us. We worked side by side and got the job done. Well sorta, there’s more to be done. That’s for another day. It took me 3 days and a beer to dig 75 holes in which I dropped gladiolus and oriental lilies. Dreaming of bountiful fragrant bouquets later this summer. I’m crushing on Dimantina clematis and waiting for it to scramble over this old rusty gold headboard. On the back side of the headboard, an old child’s wagon planted with zinnia and cypress vine seeds. Sugar snap peas, just starting to reach for the fence. They are one of my favorites, but I’ll have to be quick to harvest in an effort to outsmart Papaya as they are his favorite too. I found the silver spoon while cleaning the shade garden which has become overgrown with weeds and volunteer trees. I believe the spoon to be the last bit from one of my homemade wind chimes the rest of it long ago blown away. Inscribed on the handle – St. Luke’s Guild. I was curious, so I did some research. The Guild of Saint Luke was the most common name for a city guild for painters and other artists in early modern Europe, especially in the Low Countries. They were named in honor of the Evangelist Luke, the patron saint of artists, who was identified by John of Damascus as having painted the Virgin’s portrait. A cold rain has settled in for the next few days. Kim of Red Dirt Farm • This entry was posted in flower farming, Gardening, Photography, Ramblings and tagged flower farming, gardening, lavender, photos, red dirt farm, St. Lukes Guild. Bookmark the permalink. Great pictures! We are not quite in spring yet here in Michigan. It has been unseasonably cold this year! I cannot wait to get in my garden!! So beautiful in your neck of the woods. Enjoy! Lyn – Florida is a place like no other. I enjoy going there, especially dream about it while I’m freezing my tookus during winter, but not sure if I could live there full time. It always makes me feel good to hear that my blog is enjoyed – thank you for saying so. I can smell the spring air. The beginnings seem to be everywhere, the early flowers, the birds, the planting, the bustle of chickens… and the silver spoon… which was meant to be found by you, the founding member of St. Luke’s Guild at Red Dirt Farm. It is a message on a spoon, instead of inside a bottle : ) You have created a place where life blooms and your art, in all its forms, pays homage to the beauty of the natural world…a rare and magical country guild. Hello dear friend! Love the pic of white chicken in the metal pan…well-ALL your pictures are wonderful. Love that spoon-and the history of it is incredible! We are way behind you for warm weather. No flowers here except older crocus. Our daffys are not even out yet. Hope you are feeling good. Love ya. Debra – that’s Flopsy in the metal pan – she was sitting on Shirley’s eggs while Shirley went to eat and drink and do a potty run. Flopsy was taking her duties seriously and fussed big time at me. Shirley’s chicks should be hatching soon. Sending you warm weather thoughts – soon very soon you will have flowers. That spoon is too cool to hang out as a wind chime! Your post title is okay but “3 days and a beer” would have been an eye-catcher. I’m going to assume that first photo was a feed trough of some sort. Loved all your photos. Am jealous of your talent — you take photos from unusual angles. I see that the peacock wanted in. Papaya always wants in, especially when he thinks treats might be involved! Again, lovely photos! I pour over each one. Bees…I love them. This year I have many in my garden too….love listening to them lumbering around in the early mornings. Hi Kim. 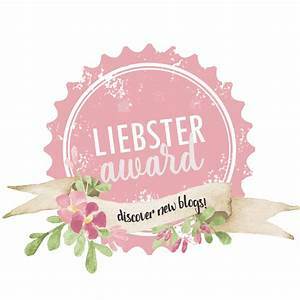 I was referred to your blog by lindasschaub and I and very glad I decided to visit. It seems as if we have lots in common. We, my husband and I, are enjoying the “simple life” as well. We have a small farm in Michigan where we raise chickens and bees and grow fruits, veggies and herbs. I must say that your photos are beautiful and I am a little envious of your photography skills. I am looking forward to reading of your posts.